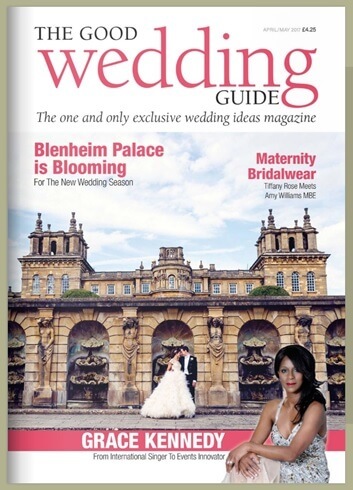 Grace is thrilled to be featured in the May 2017 edition of The Good Wedding Guide. From International Singer to Events Innovator, the article charts her journey from singer, actress and television presenter to setting up her own company specialising in luxury, high end weddings and events. Grace recounts some memorable moments creating incredible fairytale weddings and sensational events for stars, celebrities and wealthy individuals over the past 20 years. You can read the article by clicking on the image or the link below.